Verité has never been a woman afraid to go it alone. We interviewed her and captured a session in January 2017 as she was starting her rise with the release of her first full length album "Somewhere in Between." She has accumulated several hundred million streams on Spotify over the last two years and her hit "Somebody Else" was on everyone's playlist. She has done this all by charting her own course independent of a Major Label relationship. She is a no-nonsense business woman who operates on a deep reservoir self-confidence. 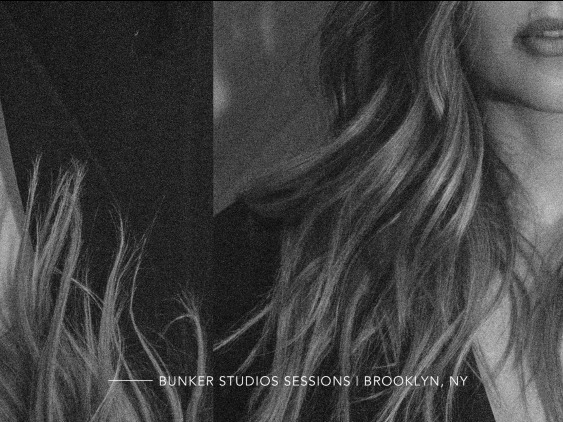 Last week she released an EP "Bunker Studios Sessions" with accompanying videos with pop orchestra Little Kruta that remade her recent pop hits into orchestral gems. Our measure of good at Baeble is when a band can successfully strip down a song to its core and it still works. In this case, Verité along with Kristine Kruta re-arranged 5 songs into lush new songs that transport them to new places. Listening to the EP you can dream of Verité taking this experiment even further with a full orchestra in a big hall.